Looking for A “Driveway Gate Contractor Near Me”? Look no further. We build and install driveway gates all over the Los Angeles area. We are passionate about using top quality materials with expert installers to insure that you have a long lasting gate. Our driveway gates come in both wood and steel frame, manual driveway gates and automatic driveway gates, along with many different designs and styles to choose from. We do both residential driveway gate installation and commercial driveway gate installations. Our driveway gates keep homes and businesses safe and secure. Our builders have years of experience and can build everything from a custom high tech gate to a standard swing wood frame. We also provide installation of electrical intercoms and electronic keypad entry. We offer automatic and electric driveway gate motor installations for both residential gates and commercial gates. This helps with the flow of business or makes things extremely convenient on a day that you might be running late. Our automatic motors come with 2 remotes and a 3 year manufacture guarantee. We only use top quality Lift Master motors to ensure that no matter the gate use flow it will hold up to wear and tear. For sliding gates we install a v-track to ensure alignment every time the gate slides open and close. For swing gates we properly calibrate the gates to swing only to where the gate needs to open to, this prevents over extension or damage to the gate. We can do all the wiring and installation that is needed, no matter what kind of gate you are having installed. Driveway gates come in many different sizes and designs but the most important installation difference is the type of opening for your gate. The three options are swing, double swing and sliding. Our sliding gates comes with a v-track that we will install to make sure all alignment is correct every time your gate opens or closes. We recommend steel frames for every gate we install, as the steel framework of a gate holds up better than wood over time and does not fluctuate based on the weather. Having people peak into your front yard or backyard can be annoying. We offer privacy driveway gates to give you the peace of mind that only privacy can provide. Our team is sensitive to the privacy of home owners and understands what kind of installation is required in order to achieve that privacy. We can build your privacy driveway gate using wood or steel. Fill out an online form to get a free quote on your new privacy driveway gate. Our expert builders have years of experience building all kinds of fencing and gates in Los Angles. We take pride in being able to not only help clients build fences but being able to educate them on how to maintain their fence so it lasts a long time. 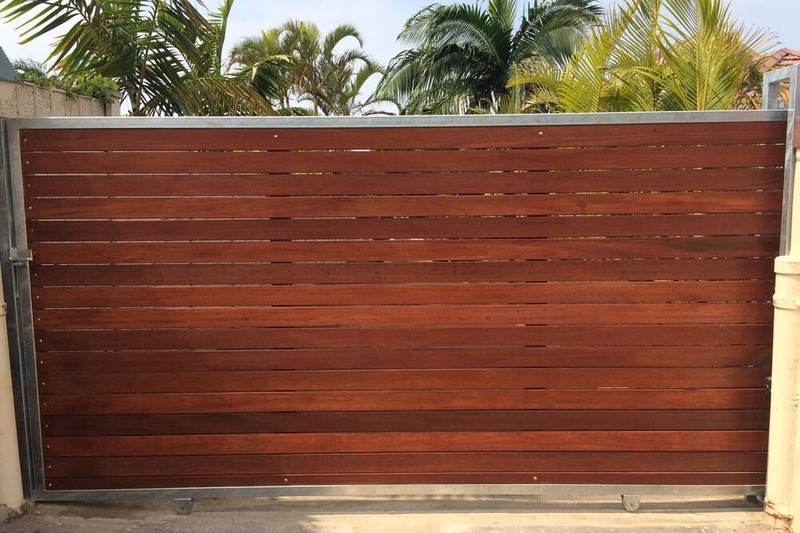 Regardless if you decided on having us build your next fence project we guarantee that after we visit your project site you will leave knowing exactly what you want and what you need to accomplish it. We leave no stone unturned.